Here is a map of our location. Please use the form below the map to contact us via email or call 1-888-229-7811. If you have not heard back from us via email after 24-48 hours please call our toll free number and leave a message. Some of the KB Trails family steer clear of computers :) and Karen is not always available in a service area to check email. Thanks for your understanding ahead of time. 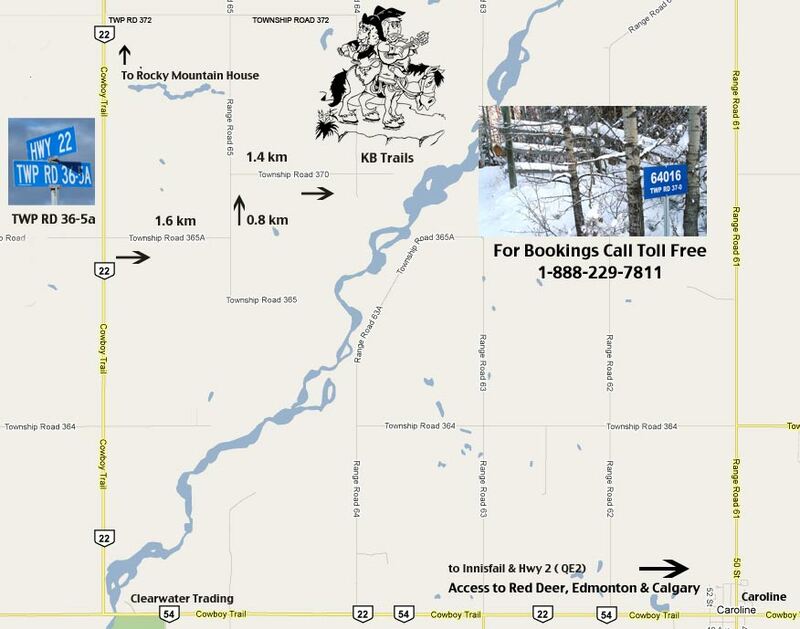 20 minutes from Rocky Mountain House, 10 minutes from Caroline, 2 Hours from Calgary, 2.5 hours from Edmonton, 1 hour from Red Deer.